Dean is running the 2012 Antarctica Marathon to promote fitness and raise money for penguin conservation! Sponsor an Hour of Penguin Running! Businesses can get into the act as well. 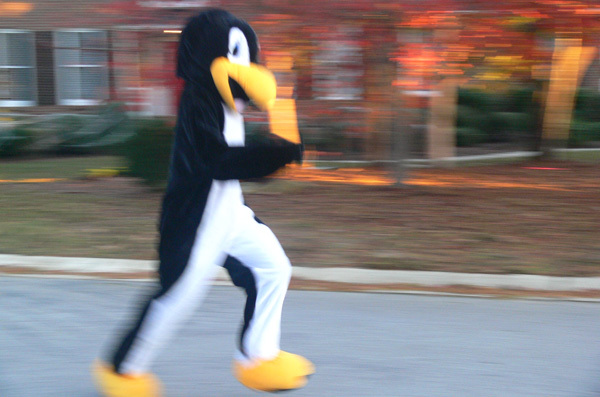 Sponsor an hour of running as I run with the penguins on Saturday, December 10th. You choose the hour. I’ll wear your T-shirt and extoll your virtues right from my Garth Brooks head set as I pound the treadmill into submission. By all means, bring a nice poster with your logo. We’ll proudly display it. $300 nets you this fine opportunity to proclaim your support of conservation to thousands of Zoo visitors! Drop me a line and we’ll set it up. Or, heck, you can just donate online right now. Donate based on how many miles I complete on Saturday the 10th! I expect to run 50 miles with the penguins of Riverbanks Zoo. Will I reach this goal? Your donation based on how many miles I run will propel me through the rigors of the day. If my math can be trusted, a donation one dollar for every mile I run would net $50 dollars toward the fine cause of penguin conservation. You kind donation will be greatly appreciated! The Governor’s Cup Half Marathon (Saturday, Nov. 5th) is a storied race here in South Carolina. It’s one of the toughest half marathons around. Don’t believe me? The delirious uphill slogs, Killborne and Blossom Streets, would like a word with you in private. Blossom alone makes one wonder what the course planner was smoking. Its apocalyptic hill is mercilessly situated just past mile twelve, stretching nearly to the finish. Naturally, I am running. But there’s a twist. A glutton for punishment, I shall run the Governor’s Cup dressed in a head-to-toe penguin suit. Race organizers have agreed to let me run ‘Charity Chase” style. I will quite literally start the race in LAST PLACE. After the entire field has set off, I will toe the starting line and launch myself after the pack. I will catch as many runners as my polyester-encased legs can manage. This means that you, intrepid runner, need to double your efforts and steel your will for the arduous race ahead. No one wants to be caught by a sweaty penguin. Especially not on Blossom street. Follow the Governor’s Cup and donate an amount for each runner I beat in the race! Can finally hear Southern Gothic/Folk music, courtesy of THE RESTORATION. Incidentally, I have it on good authority that the lead singer reverentially keeps a rather huge Freddie Mercury Action figure on his desk at work. This is an undeniably good sign. Bid on a near-mint copy of The Amazing Spider Man #252 (circa 1984). If I have to tell you how drop-dead fantastic this is, chances are you may bid on the luxury Cabin Smoky Mountain weekend getaway instead. Have you senses turned upside-down by the curious juxtaposition of Southern plantation ethos, penguin monomania, roasted bivalve mollusks, and Halloween décor. Meet Mr. Ron Naveen, conservationist, penguin scientist, CEO of Oceanites, author of several conservation books, lead investigator for the Antarctic Site Inventory, and Lindblad Expeditions/National Geographic Hero of the Planet. He will undoubtedly encourage you to recycle. If you have been to both the Okra Strut and the Oyster Roast, you will now be fully versed on all aspects of high Irmo culture. 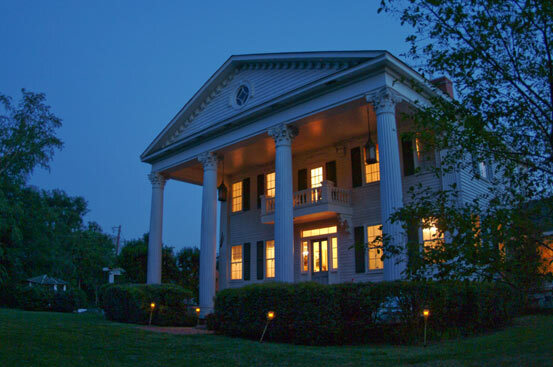 Get a postbellum vibe from an antebellum home. See legitimate, actual works of art created by Gentoo and King penguins. Not kidding. Get a tax deduction for eating oysters. Seriously. As a resident of a positively sweltering state, you can bask in the raw irony of fostering Antarctic conservation. Those outside our sub-culture don’t understand us. They hardly know what a marathon is. But the initiated are different. When you, determined maniac, announce you’re running a marathon in each of the fifty states, I don’t stand aghast. I admire your pluck. When you finally achieve Osmium Level with your sick and twisted, four marathon QUADZILLA, I don’t call a psychiatrist on your behalf, I celebrate with you. In short, we understand each other. So, when I say I’m running the 2012 Antarctica Marathon, I don’t have to explain why I’m doing it, or assure you that, in fact, I’m not kidding. You get it, and I appreciate that. But let’s go a bit beyond the mutual admiration of our respective ill-advised athletic feats. I’m calling on all Maniacs for help. I’m running the Antarctica Marathon to call attention to the fragile Antarctic ecosystem and to raise money for penguin conservation and science. We share the same passion for running, and I know that many, many of you share my passion for the natural world. 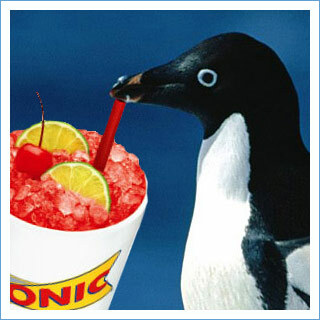 I challenge the Maniacs to raise a total of $3,000 for our friends the penguins by November 2011. There’s over 4000 Maniacs out there. This works out to about 75 cents per Maniac, give or take. I’m commissioned three original works of jaw-dropping graphic design to commemorate this Antarctic quest. Each 18″ X 24″ poster is signed by the artist. You’ll receive a recorded thank-you direct from the frozen continent itself. I’ll regale your generosity on this site, and trumpet your thoughtfulness across the the social media world. I write about the running sub-culture at www.zerotoboston.com. Give over $100 bucks, and I’ll interview you and author your next race report. Rampant exaggeration of your exploits and outright lies about your prowess are included in the deal, of course. Just click the “Donate” link on the right column of this page. You’ll go right to my FirstGiving secure donation page. If cumulative Maniac donations exceed $3,000, I will swim naked in the ice-filed Southern Ocean (filmed of course). Not kidding. Give, and fine art will be given to you. If you give your hard-earned money to support conservation, well then, I just LOVE you. I love you so much, I want to give you something. Let’s start with a series of fine art posters by award-winning graphic designers, each designed exclusively for this quest and individually signed by the artist. Come on out and dine with the deanguin! 10% of earnings (and all tips) between 5 and 8pm go to Oceanites and the penguins! Please give to Oceanites.org, a wonderful non-profit dedicated to Antarctic Conservation and of course, penguins. A beautiful poster created for this occasion by award-winning graphic designers. Signed by the artist of course. A video thank you from me, directly from Antarctica. Satisfaction that you've done a good deed by supporting conservation! Why is Dean doing this?